Are you planning a special party or event in Fort Lauderdale? Maybe it’s a birthday, anniversary or holiday celebration. Maybe it’s a wedding reception. Maybe it’s a charity fundraiser. Whatever the occasion, whether you expect 20 or 2,000 guests, here are seven reasons to consider hiring Elite Bartending and Event Staffing. 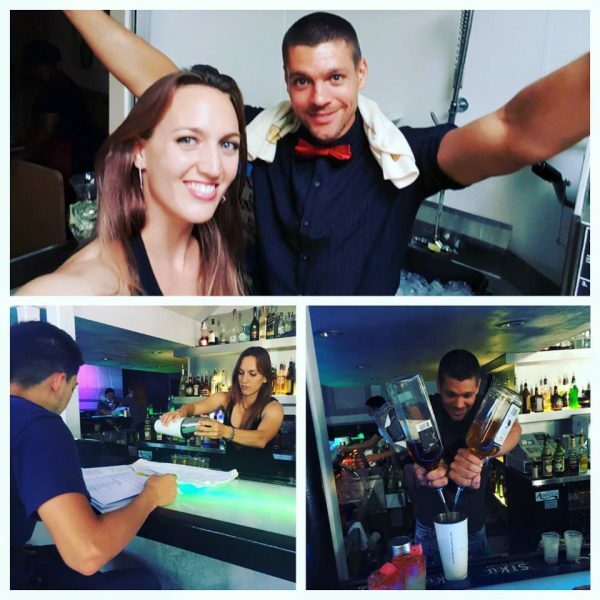 Hiring an Elite bartender assures that you get an experienced professional for your Fort Lauderdale event who is highly skilled, friendly and certified by the Commission for Independent Education and the Florida Department of Education under the provisions of Florida Statutes, Chapter 1005.06(e). We have mobile bars to fit both large and small spaces. All our bars are fully customizable to any specifications you need. You won’t need to get your own bar equipment, set up your bar area or clean up afterwards. We provide all that as part of our service. Whatever the theme of your event, be it a Golden Wedding Anniversary, a Sweet Sixteen birthday party, a Far Away Places book fair or a New Year’s blowout bash, we will create a custom cocktail menu to match it. Our bartenders can make a wide variety of cocktails and also know their beers, wines, liquors and champagnes. Our bartenders are always well-groomed and look professional. Be assured that their attire will match the feel of your event, from casual to black tie. Our Flair Bartenders and Mixologists love to interact with your guests and entertain them with dazzling bartending tricks, illusions and even fire shows. Don’t worry, our team of International Champion Flair Hard Bartenders are dedicated to safety, as well as outstanding customer service. Hiring an Elite bartender for your Fort Lauderdale event guarantees that you will spend your time socializing with your guests, not worrying if they’re being properly served. So enjoy yourself, Elite has you covered! For more information call us (239) 900-6701 or fill out our online form and we will reach out.